Does anyone realize all hobos are Christian? The god bless stuff? 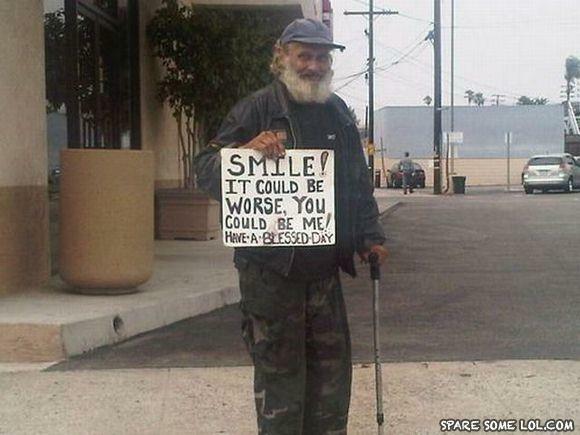 Moral: Smile! I could run my car over you for trying to guilt trip me! Have a day with legs still attached!